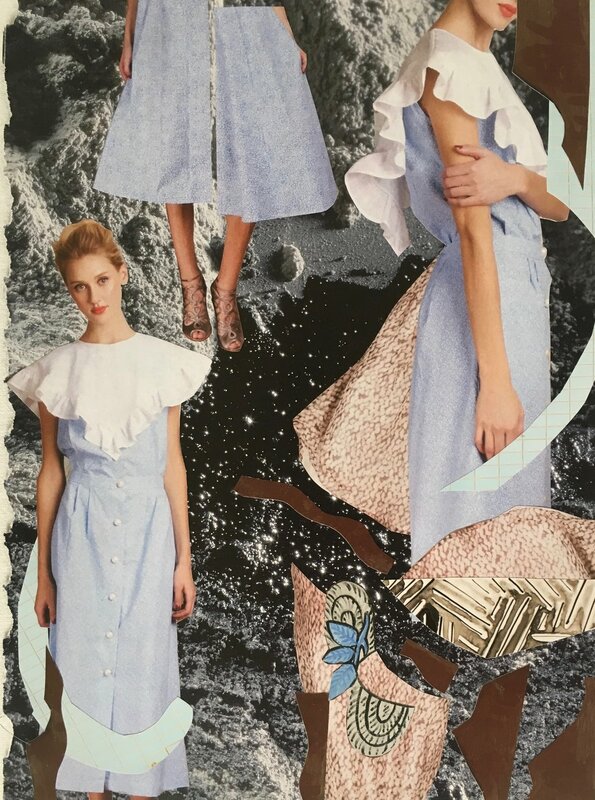 Series of collages created exclusively for Valentina & Valentia by Seattle-based artist Rosie Bowker. Summer wakes all our senses. Experience touch when on the beach, where sand becomes your second skin. Listen to the rain in tropical forest and transfer yourself to your childhood dreams of adventure. Taste berries straight from your summer garden. Their taste is phenomenal and all you can do is close your eyes and dream to invent time machine right now to be able to stop the time. Forget about social media, devices, being 24/7 connected, choose hottest summer night and just look up at the stars. How dreamy they are. Slow down, stop and smell the roses. Their deep sensual scent will remind you that the most beautiful things in life are free. And then, dive into cold and warm, deep and shallow, turquoise and dark blue sea of your own intuition. Let yourself guide yourself into happy, fulfilled, meaningful and beautiful life. This romantic element carries undeniable power. We call it Soft Power. Delicate prints delivered to you in lightweight silk chiffon. Eternal style for the summer of your dreams. Wear intelligence, confidence and pure silk when you mean business.